We are working on some settings, posting and view maybe off little. You may need to try back later today. 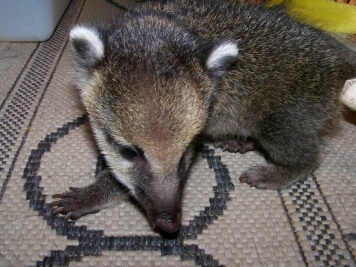 New Coatikid on the block! Ok so it’s not a block, it’s our home and our Blog, but the title sounded good and I am probably telling on my age. 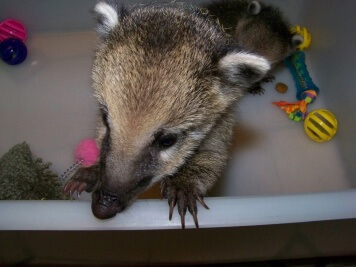 It’s with great pride..I would like to introduce our newest Coatikid! 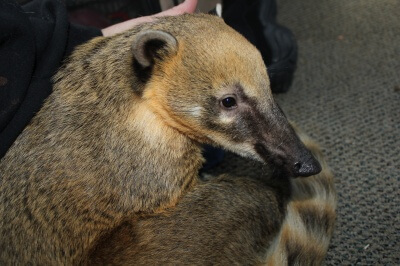 Meet Honey She is a female Mountain Coati, just like Bonnie and Clyde (only with a full tail Yeah!). Honey is an adoption from a loving home. Honey has been well cared for and loved. 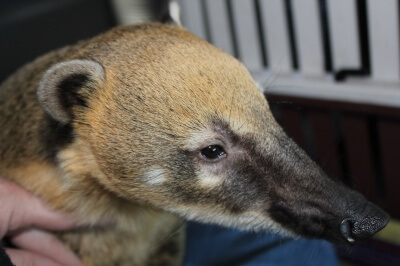 Honey quickly won the good health approval from our Coati Vet. 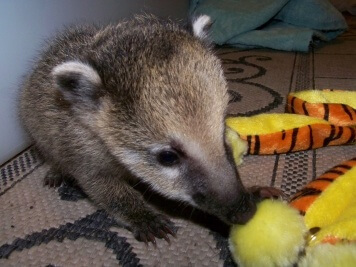 I hope she finds our home just as loving and enjoys getting to know her new Coati brothers and sisters. I know my babies are fur kids, but to me this adoption is just has real to me as a human child adoption. With all that said, Welcome to the family Honey! I am sure she will quickly learn to use the computer and have plenty to say. Honey is very beautiful and has a wonderful personality. We are still getting to know each other but we are quickly learning she is a real snuggle bug. 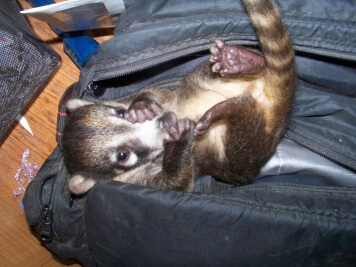 I see many fun times ahead at the Coati Cottage! 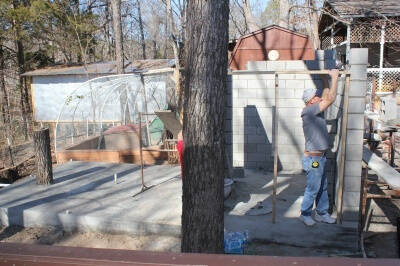 New Coati Kids Cottage in the making.. 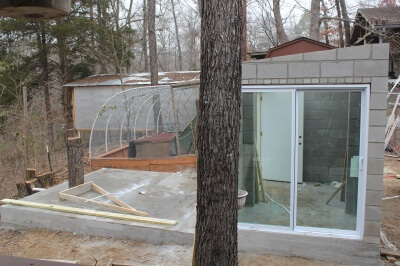 I am pretty excited about our babies getting a new house. I am also pretty sad about it too. 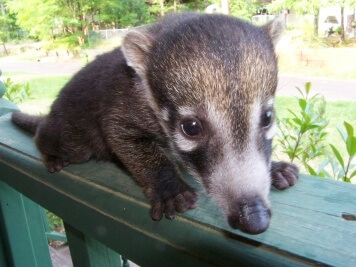 The Coatikids will be only a few steps from by back porch. It will seem so strange not to share living quarters with them. I know they will be much happier. They will not have to sleep in cages or be put up in cages if we leave the house. 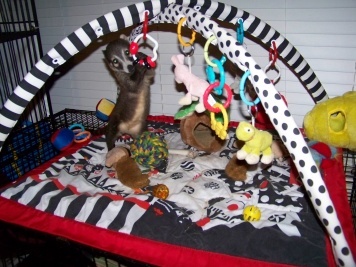 My Coatikids will have their own indoor bedrooms with built in cushy sky beds, play and climbing areas, indoor plumbing and heat. 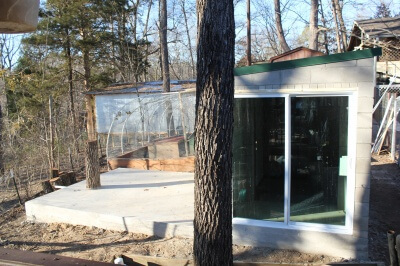 They will also have a huge outdoor enclosures to climb and play in. No more changing smelly puppy pads!!!! 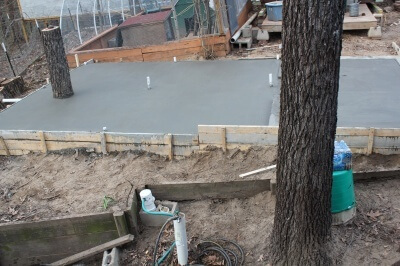 They will have concrete floors with drains in them to wash everyday. 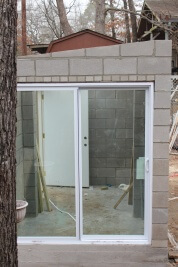 The contractors started a few days ago and have made pretty good timing. They should be finished with the basic construction next week sometime. 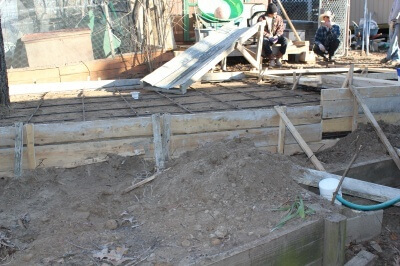 Then we will finish it up by adding the outdoor fence wires, painting and sealing the cement. 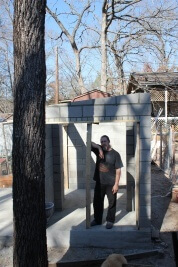 Next comes the fun part building the coati furniture. 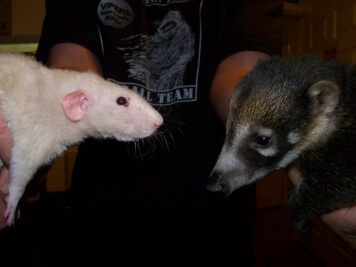 It will be nice to be able to bring them inside one by one for visits and even more fun will be hanging out in the enclosure with them. The ceiling will be close to ten feet tall! 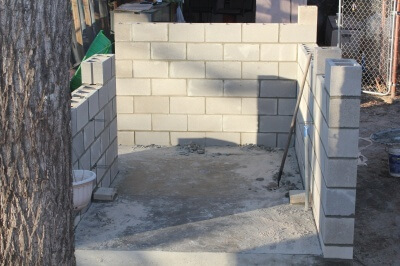 Oh and one of the best features will be a mud free swimming pool for summer times……Here’s a few of the construction pics. 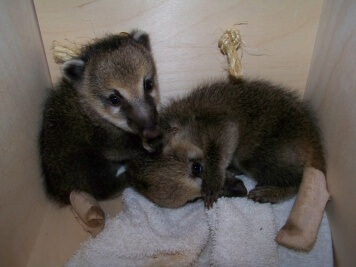 Merry Christmas or Happy Holiday of your choice from CoatiMom and Dad and all the CoatiKids!! May your holiday be filled with warmth and the love of everyone special in your lives. Be safe and Enjoy! 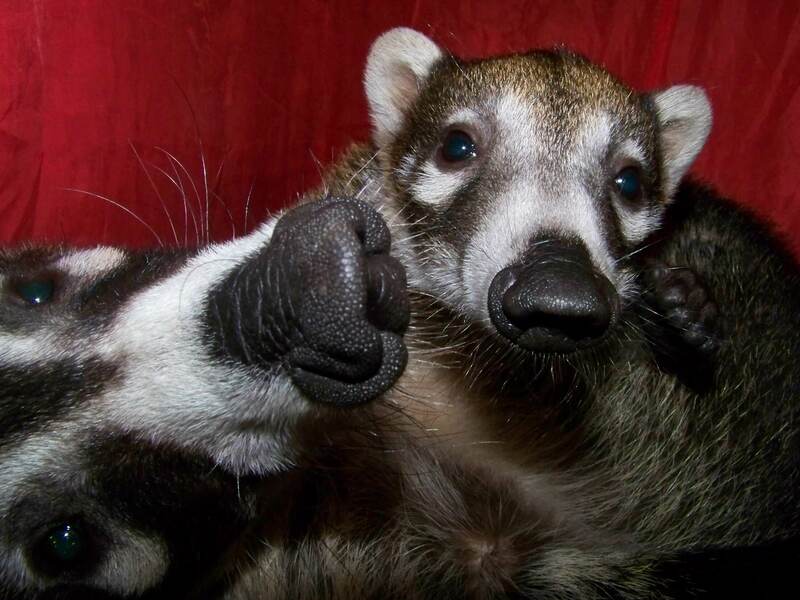 My darling little boy, a true snuggle bug and the most loving and caring of all the Coatikids..Lucky loves his parents and would prefer to spend all his time on CoatimMom’s lap or stealing insoles from CoatiDaddy’s shoes. 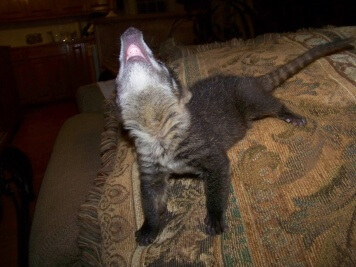 Don’t let these baby pics fool you, he had his one year check-up and shots at the vets yesterday and he weighed in at almost 23lbs..He is CoatiMom’s hefty Boy now! 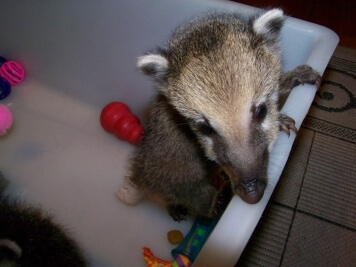 I guess the poor little fellow has grown too heavy the bounce off the walls and make a flying monkey of himself like the other CoatiKids…..
A Spring day in December? What a beautiful weather day, sunny and warm. 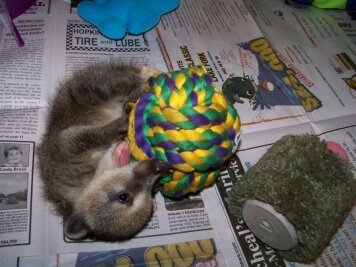 It it a perfect day for all the CoatiKids to play outside. 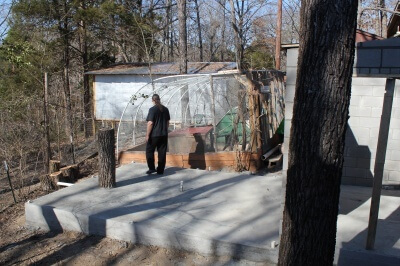 I put Bonnie and Clyde and sweet little Raven in the outdoor pen. Next I opened the door and let big boy Lucky loose in the back yard. He loves to roam for food. 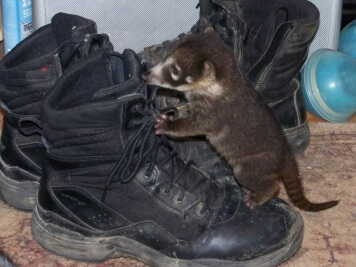 Our little foster child Sneakers had a fit! 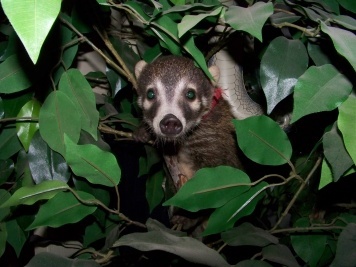 All alone and not having any of that, she dashed out the back door and down the stairs to the coati play pen to join the others. 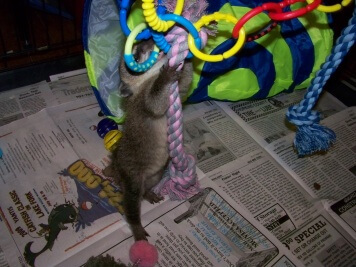 I was surprised at her boldness but she is much too little to be loose and to my surprises too big to fit thru the bars. I scooped her up and put her in the inside playroom until I could fix a nice big brunch for them all. I made them a bucket full of grapes, paypaya,cereal, mixed veggies, carrot sticks, peanuts, 5 scrammbled eggs and assorted dog bones and a scoop of their regular food. 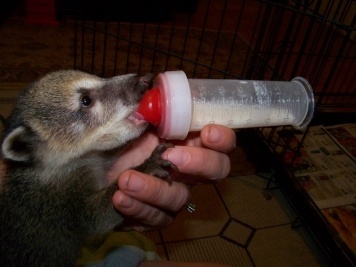 A Coati Feast ! My babies have been stuck inside for a bad weather week, so I let them make a mess and enjoy themselves. I got mugged by Lucky on the way to the pen with the food bucket and he quickly jumped inside the pen to get his share. While everyone was busy chowing down, I decided to let little Sneakers into the outside pen. So far so good, everyone is munching and playing and having fun in the sun. Just like any mom, I want to show off my children’s baby photographs. 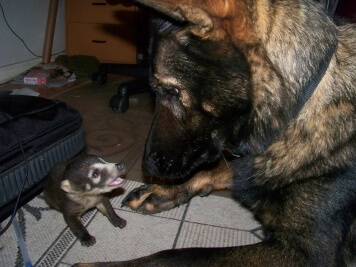 I know they are just furry kids, but that doesn’t stop me from loving them like real children. 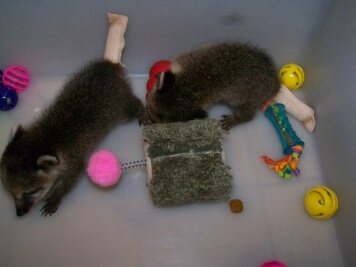 Here’s some pics of Bonnie and Clyde’s first week with us. 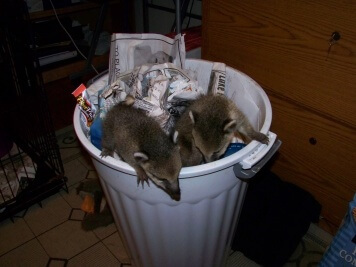 They where 5 weeks old. Hope you enjoy..